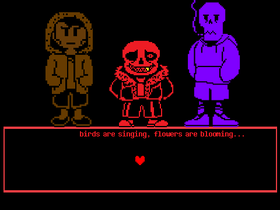 I have an obsession with Undertale and Super Mario (hence the name). I am good with coding to an extent but don't expect me to make something incredible. When I RP Undertale I RP as Muffet. Also I make Cuphead fights with bad art but good code. Why do people hate Chara?